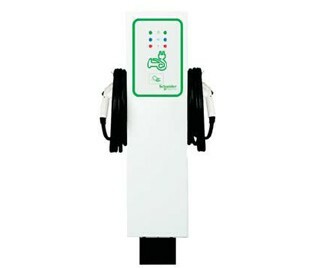 EVlink™ Electric Vehicle Charging Solution providepower to recharge the on-board vehicle batteries in Electric Vehicles (EV) and Plug-in Hybrid Electric Vehicles (PHEV). The EVSE units are Level 2 type which can charge the vehicle batteries in as little as 3-6 hours, depending on the vehicle type and level of battery charge. The EVSE will typically be fed from a 208 V or 240 V source, two-pole 40 A circuit breaker or disconnect and will be able to provide 30 A of current to the vehicle’s on-board charger. All units meet or exceed SAE J1772a and UL standards for electric vehicle supply equipment. Wiser™ Energy Efficiency products can give you information about your home’s energy consumption and provide ways to conveniently automate energy use. Information displays can be conveniently located and easily integrated with Smart Grid energy programs. In addition, these devices provide useful information displays such as time and temperature. HVAC thermostats, an in-home display, and load controls are designed to integrate into a seamless energy control system, allowing you to easily Make the Most of Your EnergySM. The Conext™ Grid Tie Solar Inverter (Conext Series) converts photovoltaic (PV) electricity produced by solar modules into utility grade power that can be used by the home or sold to a local electrical utility. Offering high performance, clean aesthetics, innovative features, and easy installation, the Conext Series provides great value in a compact high-frequency design. The Conext Series may be installed as a single inverter for a single PV array or in a multiple inverter configuration for large PV systems or three-phase applications. Download the Advanced Products by Schneider Electric brochure below or call 714.835.6211 for more information.